Easter Sale: $150 OFF Rotimatic plus Free Express Delivery worth $119. Use EASTER15 at checkout. Hurry! USD 999 / unit 999 Singapore United States of America Canada New Zealand Australia United Kingdom United Arab Emirates Saudi Arabia Bahrain Oman Qatar Kuwait Zimplistic Pte Ltd.
USD 924 / unit 924 Singapore United States of America Canada New Zealand Australia United Kingdom United Arab Emirates Saudi Arabia Bahrain Oman Qatar Kuwait Zimplistic Pte Ltd.
USD 899 / unit 899 Singapore United States of America Canada New Zealand Australia United Kingdom United Arab Emirates Saudi Arabia Bahrain Oman Qatar Kuwait Zimplistic Pte Ltd.
Every roti is round, evenly cooked, and puffed with 3 separate layers. While it’s not our aim to replace Mum, our users say that Rotimatic rotis come really close. Discerning mums and grandmothers nod in approval when they see our rotis puff evenly, every single time. Connectivity to the cloud means automatic updates to our latest flatbread recipes — from rotis, puris, tortillas, to pizza bases. Meal time is now creative time. 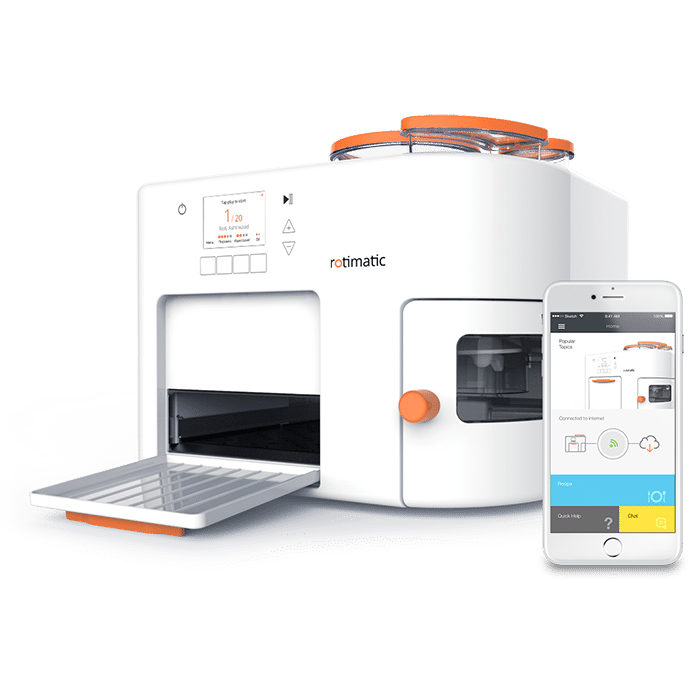 Rotimatic is built with IoT smarts, so it learns with every new roti, gets upgraded constantly, and is always operating with the latest firmware. Staying connected to WiFi gives you access to the latest downloads of recipes — masala rotis, puris, tortillas, pizzas — so you make more than just rotis. Our customer support is available to you 24/7, and WiFi connectivity allows our engineers to remotely troubleshoot problems for you. One hardware. Many software updates. *For illustration purposes only — does not represent the order of release. This is the release roadmap of features. 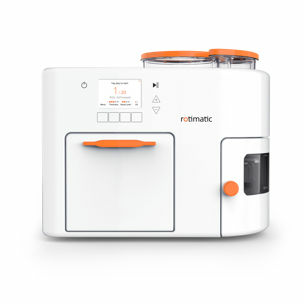 Rotimatic takes away the hassle of meal preparation and planning. Keep the Rotimatic ingredient containers filled, and you can enjoy rotis at the touch of a button. 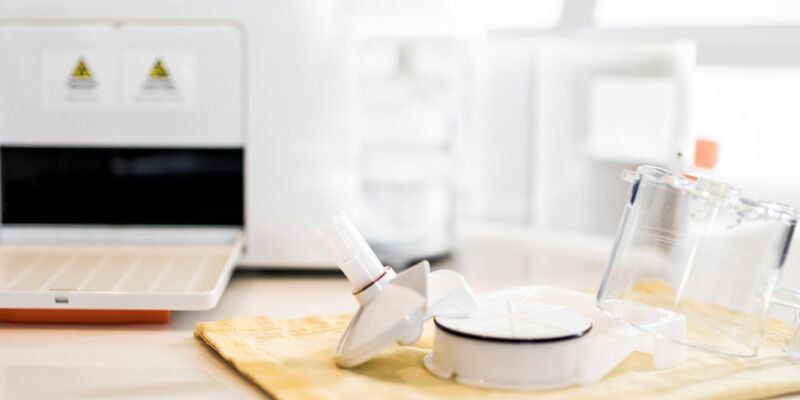 Cleaning up is also easy with two removable, dishwasher-friendly parts. It's always a "work in progress", and we're always building on your feedback, both good and bad. Our support team is ready to help 24/7 via Live Chat on the Rotimatic app. WiFi connectivity allows our engineers to remotely troubleshoot problems for you. Free pickup and delivery. Never an extra dollar for shipping, labour or any advanced support. technology, a result of 9 years of research and development. How does the Rotimatic Giveaway contest work? We are giving away a free Rotimatic daily and you can win it! How it works – To qualify, just purchase your Rotimatic on our website. Winners will be selected via a lucky draw and will be announced daily on our Facebook Page. All winners will get their Rotimatic purchase price refunded. 1. Entries with valid Rotimatic purchase made during 12th April to 16th April will qualify for the contest. For United States and Canada, purchases made during 11th April to 15th April will qualify for the contest. 2. Only one purchase per user will qualify for the contest. 3. Contest is only valid in United States, United Kingdom, Canada, Singapore, Australia, New Zealand, Hong Kong, Germany, Sweden, Denmark, Ireland, France, Norway, Netherlands, Saudi Arabia, United Arab Emirates, Kuwait, Qatar, Oman, and Bahrain. 4. The last day to enter the contest is 16th of April 2019. For United States and Canada the contest will end on 15th April 2019. 5. Winners will be picked via lucky draw and will be announced daily on Rotimatic Facebook Page. What is the price of Rotimatic? The retail base price of Rotimatic is USD 999, or it’s equivalent in your local currency excluding any applicable taxes which may/may not be a part of the price quoted. Shipping and delivery charges are exclusive and may vary depending upon your country location. Scroll to the top of this page for detailed pricing, discounts, and offers. You can also check EMI and express delivery options. 2. Lifetime subscription – Opt for an initial payment of SGD 100 plus a monthly subscription of SGD 40 at the time of placing the order. This price is exclusive of any applicable taxes. You can cancel the subscription and return the machine anytime during its lifetime. Who is using it right now? Thousands of proud owners make a million rotis with Rotimatic everyday! 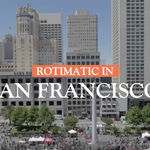 What makes Rotimatic a ‘smart machine’? Rotimatic has brought IoT to kitchen tops. 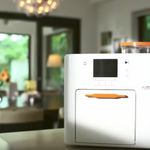 Once connected to WiFi, Rotimatic gets smarter with every roti. Masala rotis, pooris, tortillas, pizzas, Rotimatic will allow you to relish a different type of bread every day, all via remote upgrades. The video chat feature on the app, takes the customer support experience to the next level. What’s more? In a matter of time, you will be able to control Rotimatic remotely via the mobile App. Is it as easy to use as they say? You bet. Ease of use is at the core of Rotimatic, it’s designed to be simple and intuitive. Once your ingredients are ready, you can make roti with just one touch. 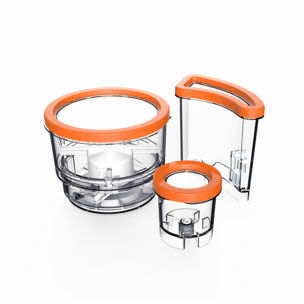 Cleaning-up after is also super easy with two removable, dish-washer-friendly parts. Read Rotimatic reviews to see what more they are saying. Can I see Rotimatic in action? Yes you can. Join one of our weekly virtual demo sessions by clicking on the link here. 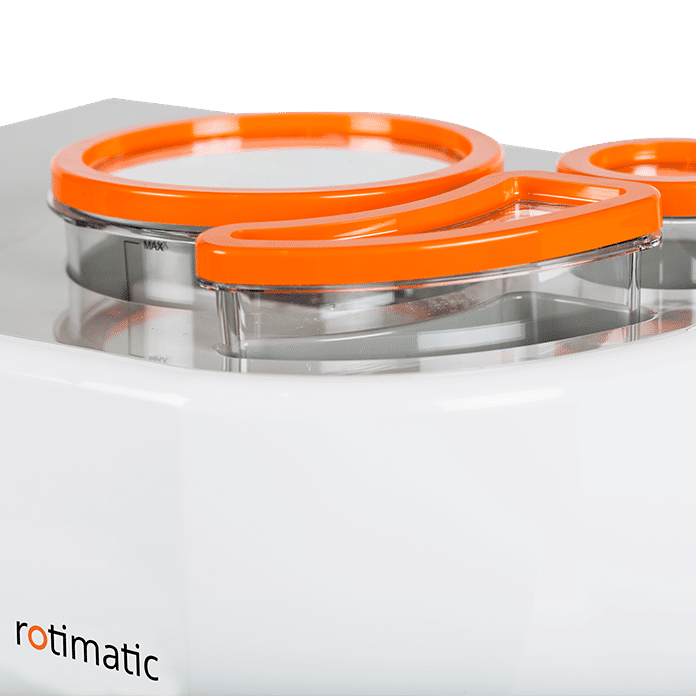 See how Rotimatic churns out rotis in minutes and get all your questions answered. Alternatively, you can also try Rotimatic in the comfort of your home risk-free with our 30-day money back guarantee. 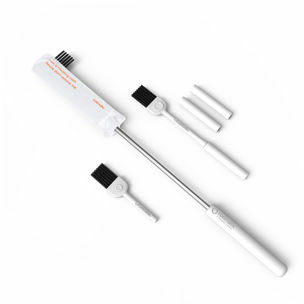 If you are not happy with your experience, we will refund you the full product price. We assure you, you will fall in love with it the very first time you get your hands on it. How good are the rotis? There’s nothing quite like Mummy ke haath ka khana aka mom-made food, right? Our users say that Rotimatic rotis come very close. Because every roti is guaranteed to puff. Discerning mothers and grandmothers themselves nod in approval when they see each roti puff evenly in Rotimatic and are delightfully surprised by the softness and its taste. Every Rotimatic roti is round, evenly cooked, and puffed with 3 separate layers. 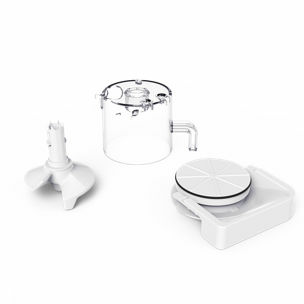 Since all the ingredients that go in Rotimatic are chosen by you, the taste and nutrition is as per your preference. What more can I make besides, roti? Rotimatic is designed as a platform to make any type of flatbread. With remote upgrades, it will enable you to make puris, masala rotis, pizzas and tortillas. Do I really get 24 X 7 support? Absolutely. Being a smart machine, Rotimatic offers seamless and advanced customer support. Chat support will be available 24/7 via the Rotimatic App. We can remotely connect to your machine to troubleshoot and send software fixes via the cloud. Within the warranty period, if you face any hardware problems, we shall either repair or replace your unit free of charge, to ensure you don’t miss the hot, fresh rotis. Can I buy Rotimatic from any country? Not yet. 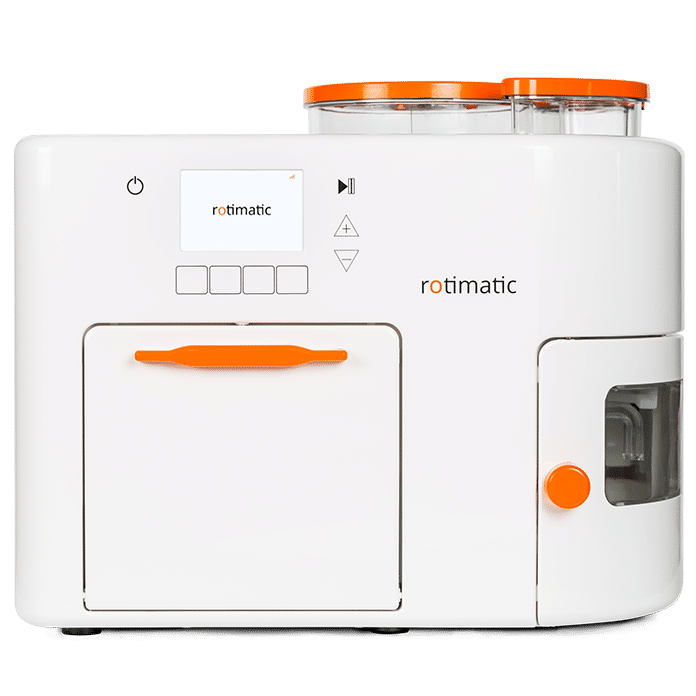 Rotimatic is currently available for retail purchase only in the following regions: Singapore, USA, Canada, New Zealand, Australia, UK, Germany, France, Netherlands, Ireland, Denmark, Sweden, Norway, Hong Kong, UAE, Saudi Arabia, Qatar , Oman , Kuwait and Bahrain. The shipping and delivery cost of Rotimatic may change as per your location. Does the warranty cover everything? Rotimatic comes with a 1-year free warranty valid in the country that the Rotimatic is shipped to. You also enjoy Rotimatic Care for longer if you take an extended warranty on your unit, details here. We’ll be sad, but we’ll understand. You’re free to cancel the order before the unit reaches you for any reason, and get a full refund. Rotimatic also comes with a 30-day money back guarantee. So after you receive your Rotimatic, if you are unhappy with your Rotimatic experience, you can return it within 30 days and we’ll refund the full retail price. Can I buy Rotimatic from other websites? Rotimatic is available for purchase only on the official Rotimatic website. Currently, we do not encourage you to buy Rotimatic from other e-commerce websites. Can I order Rotimatic and ship it overseas?